In a new study that shouldn’t surprise anyone, researchers found that children aged 2-5 years old who spent more time in front of screens fared worse in child development screening tests. The reason for their poor performance is quite simple. The more time children spend in front of screens, the less time they spend talking, being active, or playing – the activities that help them develop their basic social skills. 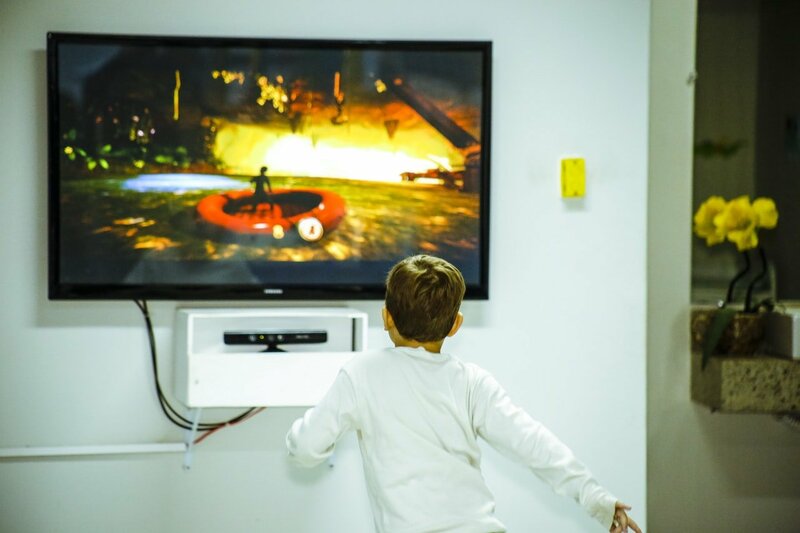 The study, conducted by psychologists from the University of Calgary and published Monday in the journal JAMA Pediatrics, examined the effect of screen time at three specific time intervals during a child’s growth. The researchers recruited 3,388 mothers for the study and evaluated their children’s performance at 24, 36, and 60 months. Caregivers reported average screen time and also filled out standard questionnaires on motor and communication skills. The results were unidirectional, as kids with more screen time usually had lower scores, but kids with lower scores didn’t necessarily have more screen time. Researchers explained that kids who spend more time in front of screens are missing out on practicing vital interpersonal, communication, and motor skills. As an example, when kids are watching TV, they are sitting down, so their motor skills aren’t being properly put to the test. Kids who are sedentary often have delays in motor skill development. Kids can also develop antisocial tendencies when they spend less time interacting with their caregivers, both verbally and nonverbally. The communication that the children miss out on is extremely crucial for optimal growth and development. So the question remains, how much screen time is bad? Some researchers argue that it’s important to judge the quality of screen time and not the quantity, but this research doesn’t go into that discussion. But other researchers have noted that screen time doesn’t have to be detrimental to development, especially when it is used to interact with other people (such as through video chats). It’s clear that young children should spend their time interacting with the environment and being mobile, and luckily, screen time is something that can be controlled. The American Academy of Pediatrics recommends that a child’s earlier years should be spent on activities that will help them develop their basic physical, social, and emotional skills. The study shows that some children were spending an average of two to three hours a day staring at a screen time, but it doesn’t specify whether this number is excessive or normal. The researchers believed that it was just one of the limiting factor of their study, and something that they will analyze in future research.